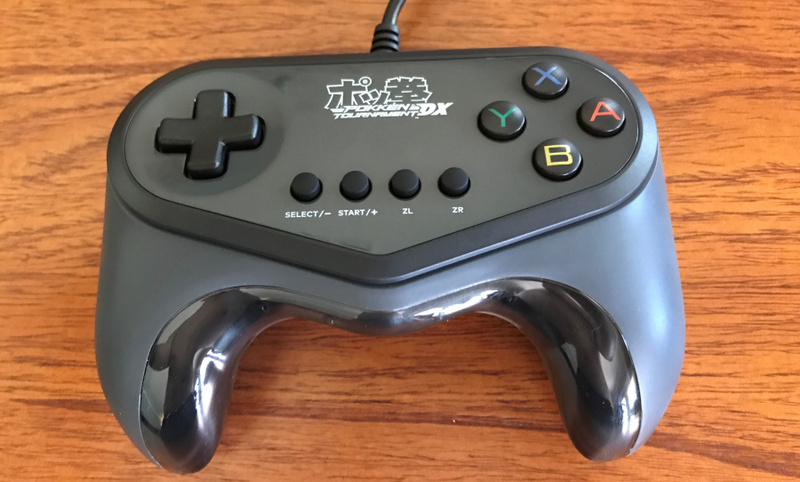 It was a pleasant surprise when Nintendo originally made the Hori Pokkén Tournament DX Pro Controller compatible with multiple other Switch games - enabling the use of it in the likes of Mario Kart 8 Deluxe and even Sonic Mania. In general, it's been praised for its quality build that is ideal for fighting games and platformers, despite the obvious limitations. For anyone with a large library of games on Steam, you might be pleased to hear Valve has now added official support for the Hori Pokkén Tournament DX Pro Controller. To use the wired USB controller on Steam, all you'll have to do is update your client to the latest version and then plug it into your PC. Again, the controller is perfect for fighting games and platformers, particularly of the 2D variety. This isn't the first controller for the Switch to be added to Steam, either. In May this year, Valve added support for the Switch Pro Controller. Tell us in the comments if you'll be making use of Hori's Pokkén controller on Steam. I never understood the point of this controller. The pro-controller for the Switch and Wii U have all the same D-pad and buttons so you can play Pokken Tournament just fine, but this lacks several features necessary to play other games. 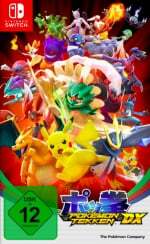 I almost got so into the hype when Pokken came out on Wii U that I considered getting it. I'm so glad I didn't because that game was so-so at best, and then I would have been left with a $40 controller I couldn't use for anything else. I only fall into the fourth category, so again, cool for those who can use this! I have three of these controllers but don’t use Steam. My two sons both use Steam, I might have them check it out. @TheFox Originally the controller was meant to mimic the one used in the Pokken arcade cabinet, so that players could use the control & feel they got used to at home. However, I don’t think many players living outside Japan played the arcade version. So it’s mostly a novelty item now for fans of the game. this will be useful on fighting games that i've own on steam for pc. @NEStalgia Wow, these HPTDXPC's look REALLY nice! The only reason to do this sort of thing is because for some reason, in your infinite wisdom, you bought a Steam Controller when it came out, realized less than a day in it SUCKED, and bought the Pokkén Controller because you thought it'd be cheaper than most controllers. @TheFox for people really into fighters there's several benefits. First it's wired so there's less lag than wireless. It gets rid of the sticks so there's less in the way and the buttons are arranged for accessibility. At least that's what people super into fighters tell me. @TheFox Most of the fighting game community has agreed the dpad on the pro controller is bad. They have also praised the dpad on the Hori Pokken controller. I myself haven't used the Switch Pro Controller, but I agree with the general assessment on the Wii U Pro Controller. I sold mine a few days after I got it. The dpad is perfect but the lack of ZR and ZL buttons in the proper position is killer. This is a fantastic controller. I don't think there is a controller with a better D-pad for the switch. Unless unlicensed controllers are taken into account. Imagine if Nintendo's next "console" was a cartridge drive that hooks up to a pc and you could buy their games digitally on steam. That Would be VERY COOL. This would coexist with the switch ❤️ I would be all for it. @TheFox It's great for fighting games and for me what it has over the pro controller is the d-pad being parallel to the buttons. Using the shoulder buttons when playing Street Fighter I find it to be less comfortable on the pro controller because of the d-pad positioning being low and further into the centre. Buy a PS4 or XB1 controller and one of the 8bitdo adapters, much better than this thing! A little extra tip about this controller. It has been said, that for some odd reason, it also works with PlayStation 3. I don't know if they changed anything in the Switch version, but the original Wii U Pokken controller works. @TheFox Same as you, I'm glad I didn't fall into the trap of buying the controller when Pokken Wii U version was released. I really don't think people should knock this controller as useless until they've actually used one. It's one of the most comfortable controllers for 2d gaming that I've ever used. It may even beat out the SNES controller. It has so much more utility than just Pokken. @bngrybt with you there dude, I use it for all 2d games. Idk why y’all are bashing the D-pad on the Pro Controller. It works perfectly fine. I love everything about the Pro Controller except for where the NFC reader is placed. I would be more excited if they made the Steam Controller compatible with the Switch. I think I remember trying this controller years ago on steam and was surprised it did not work. I will try it again. Too bad Nintendo did not not extend the same courtesy to the Wii U when the controller was originally released. @MH4 yeah, my dpad works just fine, it was my analog sticks that I needed to send in for repairs. Perfect timing, I literally just bought one last week. I don't play games on Steam anymore though.